Refinancing your current mortgage could be a great option when rates fall or if you are in need of accessing equity in the home. However, refinancing takes careful planning. Understanding your needs for refinancing is extremely important. 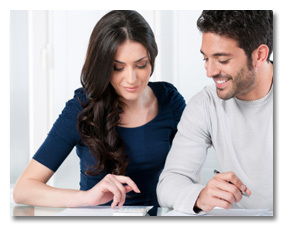 Other factors are also important to determine and assess before you refinance. Generally, when rates fall, refinancing activity picks up. However, many home owners do not realize that the actual savings in interest over a period of time is the same as investing in traditional types of assets. Comparing your current mortgage profile to the new mortgage profile is key to understand whether refinancing makes sense. Integrity Financial Services takes pride in advising our borrowers of their refinance options and whether if it is financially sound to do so. The benefits of refinancing can be substantial. When rates fall, simply saving thousands of dollars in interest maybe a big enough reason to refinance. In addition, accessing equity from your property for needs such as home improvements, children’s education, or debt consolidation may have huge benefits over other short term alternatives. Speak to one of our specialists today and gain all of the facts before refinancing.